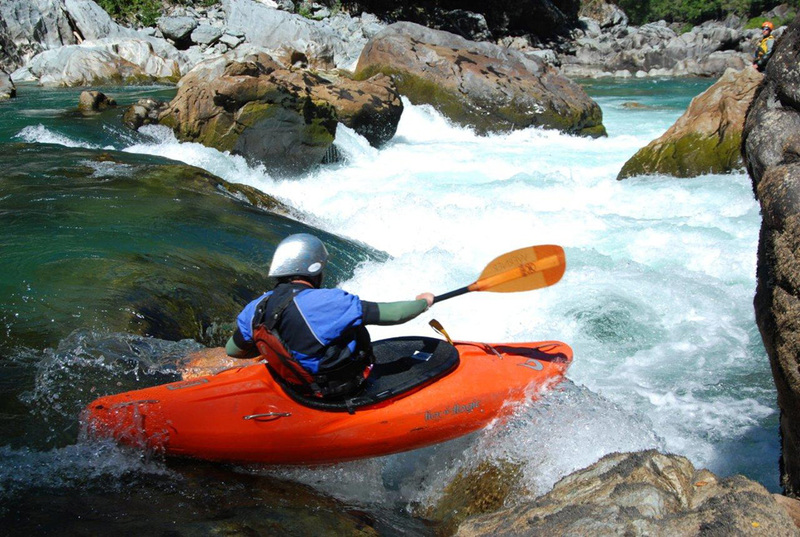 Kayaking is the whitewater activity that has grown the most in recent years worldwide. Our goal is to share our experience and knowledge with our guests, and open the doors to a fascinating and unique world. Kayaking can be practiced by children and adults, since no special skills are required to start out in this sport. If someone can swim, they can also paddle. Kayaking offers a wide variety of possibilities for navigation, from quiet waters to the most extreme. It requires handling specific techniques; therefore, the learning process takes some time. Once you have acquired the basic skills, the possibilities are endless, either for the descent of rivers or for slalom, rodeo or free-style. In Bariloche and its surroundings you will find the right place to practice kayaking, either if you are starting out in the sport or if you want to improve your skill level. The area has a broad variety of lakes and rivers which are ideal for the practice of this sport and offer a wide range of levels: from flat waters to the most challenging Class V rapids. This will enable you to achieve a gradual learning progress. Thousands of rivers around the world are waiting for you. Extremo Sur invites you to take your first steps in this exciting sport guided by our instructors. 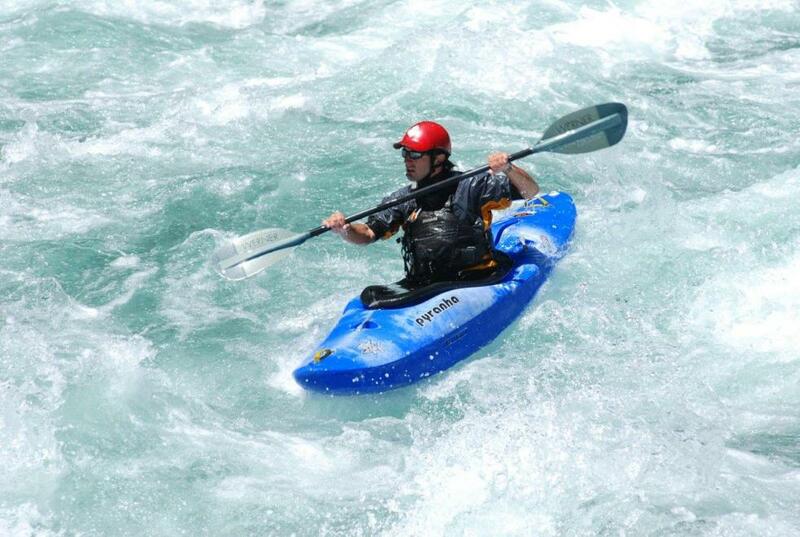 In the initial level courses you will start to get to know the kayak and all its equipment. These courses begin with an introductory period in flat waters, where you will learn the basic movements to control the boat. As you gain confidence, we go deeper into the current, until we end with the descent of an easy river. Among other concepts, we will cover: reading the river, paddling forward and backward, turns, entering eddies, crossing with a ferry angle, anticipating moves, wet exits, safety and much more. In this course, we will provide you with the full equipment. Learn how to perform a solid and effective roll to gain confidence in the water. Our instructors will teach you the correct way to perform this important technique. In this clinic, we will instruct you in the basics of Eskimo roll by means of the technique known as "C to C", focusing our attention on the correct position of the paddle and the precision of the body movement. You are already familiar with the basic concepts, but you may lack some practice. This intermediate level clinic is ideal for those who paddle comfortably in Class I and II and perhaps have run Class III rapids, but want to improve their skills. We have small groups and personalized attention. With theoretical and practical classes, you will be able to strengthen your rafting technique and start with the bases of Rodeo. We will see how to obtain maximum benefit from our body: posture, flexibility and rotation; from our kayak: stabilization and carving; and from our paddle: basic control, forward, reverse, duffek, draw. During this clinic, we will refresh basic concepts such as river reading, scouting and defining running lines. Surfing: forward, reverse and side. Spins: 360's, Flat Spins, Blunts. Vertical: Enders, Pirouettes, Cartwheels, Splitwheels, Loops. Beginner: Beginners feel comfortable in the kayak, paddle in a straight line, and exit the kayak with no difficulty (wet exit). Have paddled at least 3 times and are working on the roll on flat water. Are familiar with whitewater terms such as ferry-angle and eddy. Intermediate I: These paddlers roll on flat water and are already working on rolling in the river. They are starting to perform basic maneuvers: ferries, entering and exiting eddies in Class II rapids. Intermediate II: They roll in the river and perform basic maneuvers in Class II and III rapids. In this stage, paddlers begin to learn how to play and have fun while doing so. Advanced: Advanced paddlers roll confidently in whitewater, move and maneuver in Class III whitewaters and have paddled in Class IV or more. They are working on mastering more difficult skills: surfing, moving in a hole, vertical moves, flat spins, etc. If you have any questions on your skill level, or if you want further information on the clinics, do not hesitate to contact us. We will be very pleased to answer your doubts.